Our custom in-house designed MX and BMX jerseys are all custom cut and sewn dye sublimated jerseys. Skidmark Design prides ourselves in being one of the top providers of custom BMX and MX race jerseys - all made in the USA. Our team of professionals will work directly with your BMX or MX team. We can custom fit our custom jersey to any size and have standard sized for both youth and adult sizes. Through the use of G7 certified dye sublimation printing we are able to produce one of the highest quality jerseys on the market. Work directly with our graphics arts team to create a one in a custom jersey to keep you riding in style. Contact us now to start designing your custom jersey. At Skidmark Designs we create your custom BMX or MX jersey with the highest quality printing available. 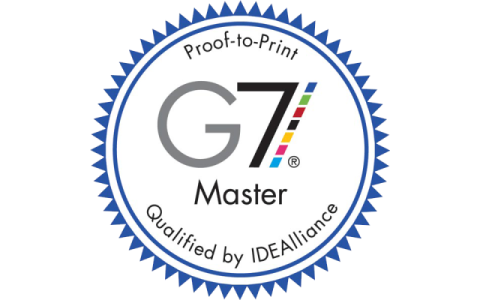 We only use G7 Master Printers. G7® is Idealliance’s industry-leading set of specifications for achieving gray balance and is the driving force for achieving visual similarity across all print processes. WHY DO YOU CARE ABOUT G7 CERTIFICATION? To keep it simple – your custom jersey will come out as intended. 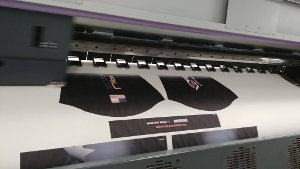 We know you expect print perfection and G7 is proof Skidmark Designs are staying on top of things when it comes to print quality and color matching for your BMX and MX Jerseys! Not only are we just racing fans, but we enjoy mixing it up on the track as well. Skidmark Design sponsors the Factory Skidmark Racing teams. These teams race all across the midwest and southwest in both BMX and MX events.Be on the lookout and check out the custom jerseys on some of the fastest BMX and MX riders in the nation racing with Factory Skidmark. Photo Quality Prints & Awesome colors - when using our G7 Certified printers the range of colors that you can't reproduce with screen printing. All around printing - You won't find seams in our prints. Our process provides a full wrap around print.